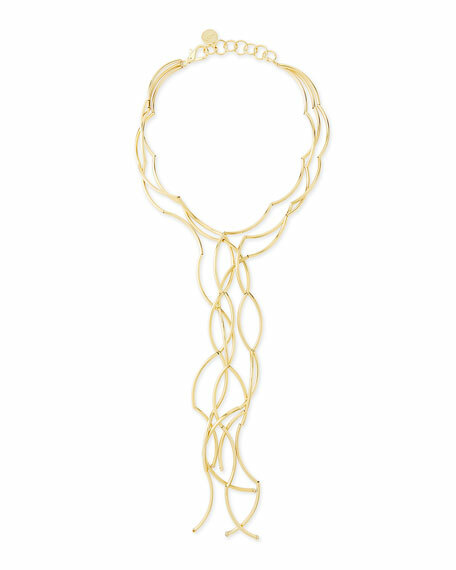 Effulgent yellow gold plate forms this Nest necklace, comprised of arc-shaped bar links. 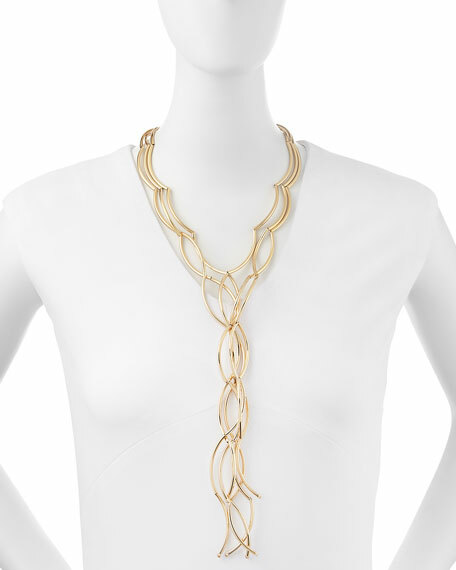 You'll love that this bold, gold statement piece will dress-up your everyday look and hold its own with your LBD for that cocktail party. Three-strand lariat necklace by Nest. 14-karat yellow gold plate forms arc-bar links. Approx. 17"L with 8" drop. For in-store inquiries, use sku #258698.